Sixteen graduate students from Columbia University’s School of Journalism traveled to Ireland and found a country of many cultures and religions. The ground floor entrance of the Westwood House Hotel entices passers-by with rock music and drink specials. It is a popular haunt in Galway and people mill around the bar on the eve of St. Patrick’s Day. But upstairs a different scene is unfolding. A spiral staircase leads to a dark landing with a heavy door. The rock music from the floor below grows faint, soon getting drowned on the other side of the door by people singing about Jesus Christ. “Hallelujah, hallelujah, praise the lord,” they shout. This is a congregation of Indian Christians from Kerala, a state in South India. They gather at the hotel every Sunday and pray in Malayalam, their regional language. Congregation members estimate that there are some 300 to 400 Indian Christians in Galway, and the number has been rising steadily these past few years. They come to Ireland to study, work and make a better life. Children of these immigrants learn Malayalam at home and Gaelic at school. While a constellation of Irish churches of various Christian denominations exists in Galway, the Malayalam-speaking Indians prefer to pray together. Many of them don’t find the native Irish religious enough. The Indian congregation is a Pentecostal service but welcomes Christians of all denominations. Light bounces off the red carpets and walls giving the room where the faithful gather a robust glow. The prayer leader is a man named Shinil Matthew, 34. He is not a priest or a minister, but a lay leader. A tall man, Matthew wears a checked shirt that stretches across his broad shoulders. His prominent nose and thick eyebrows give him an air of authority. He stands facing the congregation and sets a vigorous pace for the two-hour service, singing aloud and keeping time by clapping and swaying from side to side. His eyes are closed and face wrinkled in concentration. As the momentum builds, every person in the congregation rises up from the chairs singing and tapping their shoes to the lively beat. The “hallelujahs” are the only words spoken in English. “We had to worship in our own language,” Matthew said, over a cup of tea after the service. And even if they do they prefer to pray in Malayalam. The congregation started with a few friends gathering at Mathew’s house to pray. But the number of people from Kerala increased in the past few years. The house wasn’t big enough. “We had all Christians, not just Pentecostals so everyone could not fit,” said Mathew speaking through a translator because he does not speak English. Mathew, a Pentecostal, approached the Assembly of God, a loose order of Pentecostal churches that took the Indian congregation under their wing. The Assembly’s branch in Galway, called the Discovery Church, is led by Pastor Paul Cullen, and also rents space in the Westwood House Hotel. “Many Indians come to our regular Sunday services, but some of the men felt that they couldn’t participate because of the language barrier,” said Cullen, 34. The women generally speak English, something required of those who work as nurses in the Galway University Hospital. Many Indian nurses, mostly women, have been recruited by the university hospital, which provides them with work visas. In many cases, their husbands follow and find simple jobs, or take courses at the university. Many Malayalam-speaking Christians living here say that in Ireland religion doesn’t enjoy the same primacy of place it does in India, and say that the power of faith flows more vibrantly in their small congregation than in the Irish Catholic cathedrals. Alice Ninin, 28, nurse by training, says she “came here for better opportunities.” Ninin, who belongs to the Mar Thorma Church, feels that the Christians in Ireland, particularly among the younger generation, are not religious. “In India, the churches are packed,” she said. “The young people here prefer going to pubs.” Many others at the congregation echo her sentiment. Next door to the prayer room, the children of the congregants are playing. Irin Sajupaula, 9, and Silin Verghese, 8, hunch over sheets of white paper drawing with colored crayons thicker than their fingers. These children have lived in Galway since their parents left India over a year and a half ago. Sajupaula can converse in Malayalam, Hindi, English, and began learning Irish Gaelic this year in school. Rajesh Verghese, 38, a salesman, is a Roman Catholic. He said that even in a Pentecostal service he maintains his Catholic identity. “There is nothing wrong with singing and praying, Catholics can do that,” he said. Jampa Ling, the residential Buddhist retreat center in County Cavan in the heart of Ireland, aims to spread Buddhist tradition and culture through chanting and meditation, but it also has a strong commitment to re-establish Buddhism in Mongolia and help the country’s impoverished citizens. Jampa Ling is fulfilling its charitable mission through scarves, slippers and handbags that it imports from Mongolia and then sells to high-end boutiques in Ireland and now in America through a micro-finance project called Made in Mongolia (MIM). Through the program, impoverished single mothers are being given the opportunity to make a living to support their children’s education. “What we started doing was training women in something that gave them a job and a sense of their own value as well,” said the Venerable Tenin Choeden, a Buddhist and native Irishwoman, also referred to as Ani La, “Ani” meaning “nun” and “La” as a distinction of honor. Additional aid is being given through the partnership to provide assistance with health, food, and heating. Pat McCarthy, an Irish designer and a student of Venerable Panchen Ötrul Rinpoche, a Tibetan Buddhist monk and the spiritual leader at Jampa Ling, volunteered to make the trek to Mongolia and assist the workers. For two weeks, he worked with the women on altering the designs to make them more colorful and desirable to Western customers. When Pat returned to Ireland, Ani La said, he determined there was a basis for a business, but the products would have to be high-quality, and a high return was required from initial orders. McCarthy assembled a team of volunteers to design leaflets and packaging, while he sent associates to Mongolia to manage the production. After the women produced some samples, he made a sales pitch to Avoca, a high-end clothing and home-décor boutique in the Republic of Ireland and Northern Ireland. With a fair-trade ethos, the sales pitch was a huge success. Shipping to four stores in Dublin and one store in Belfast in October 2007, the demand was so great that the Mongolian women needed more time to complete the handmade orders. This past year, it was determined that the center was too small to accommodate the workers and their growing demand for more products, thus an additional Buddhist-sponsored center is being scouted to expand the business. The Irish Buddhist center’s efforts got off the ground in 1995 when Rinpoche made his first pilgrimage to Mongolia. With permission from the Dalai Lama, he continues to visit and work on bringing Buddhism back to the northern Asian country. Since the breakup of the Communist Soviet Union in 1991, Mongolia, a traditionally Buddhist nation, has been experiencing a difficult transition to democracy. As many families have moved to Mongolia’s capital city, Ulaanbaatar, there has been a sharp increase in the poverty level, as many are unable to find work. Thanks to the efforts of Rinpoche and his fellow Irish believers, a partnership, Asral Charity, was struck in 2001 between Mongolian and Irish Buddhists to support families and keep them together. A Buddhist center was opened in the capital city along with a number of philanthropic projects sourced there. “When Rinpoche opened the center, he recognized people needed work, because when the Communists moved out of Mongolia, the infrastructure completely broke down,” Gough said while standing in the main house of the three-building Buddhist center next to the center’s gift shop, displaying a variety of goods produced by the Mongolian women. Typical winter temperatures in Mongolia fall below 22 degrees Fahrenheit, threatening the lives of many, especially those in severe poverty. Most households are run by single mothers, who are some of the poorest citizens in their society. Most women work to prevent their children from being sent to orphanages or ending up on the street. All funding for Rinpoche’s projects in Mongolia comes from Ireland, Ani La noted. MIM is opening the sales market to the United States, with the first American order at Moonjar in Seattle, Wash. The aroma of Indian spices fills the old Protestant church on Clifton Street, now transformed into a Hindu temple. Images of Indian gods and goddesses have supplanted those of Jesus Christ, but the house of worship remains intact, a stable fixture on the borderline between Northern Irish tensions. The temple, Laxmi Narayana Mandir, is located at 86 Clifton St. in Belfast, directly on the midline that separates Catholic and Protestant neighborhoods, according to its residents. Indian rugs and portraits of Hindu deities hang side-by-side with Christian stained glass and other remnants of the former church. An anomaly in this predominantly Christian city, the Hindu temple belongs on neither side of the religious feud and seems like a refuge for peace amidst conflict. Above the temple sanctuary and up the winding stairs to the building’s second floor, Gopi Sharma, the temple’s priest, lives with his wife and two teenage children. He speaks minimal English and called for his daughter when I arrived. Wrapped in a cream-colored blanket over pajama sweatpants, the 16-year-old girl introduced herself as Poonam Sharma. Her long shiny black hair was pulled back into a ponytail, and she wore a simply studded ring in her nose. Sharma was home enjoying her Easter break on this Thursday morning, relaxing in the family’s living quarters and relishing her day off. The building was an active Protestant church 25 years ago, as conflicts raged on between the Catholic and Protestant populations of the city, Sharma explained. Amidst the turmoil, a Hindu priest purchased the building approximately 19 years ago, inadvertently neutralizing a place of former conflict. “The people didn’t want this to go to a Catholic or Protestant, so they sold it to a Hindu,” Sharma said. The original priest presided over and lived in the converted temple for 10 years, after which a second priest took over for the next five. Following these two leaders, Sharma’s father arrived as priest four years ago, leaving a Hindu temple in Kenya. “I’ve actually got a mixture of Indian, African and Belfast,” Sharma said, chuckling at her positively unique accent. Initially, she wanted to move back to Africa, but after beginning school in Belfast, Sharma became better acquainted with the city. After she finishes high school and college, Sharma hopes to become a psychologist. “More than half are nurses or in the medical businesses,” she said, pointing to the popularity of medicine among Indians. As she walked downstairs to the temple itself, Sharma explained that visitors must leave their shoes outside its glass doors. Inside the sanctuary, plush red carpet lines the floor, and matching velveteen drapes clothe the large-scale dioramas, encasing a series of sparkling deities in emerald green garb. In the center compartment sits the largest pair of statues, the two adopted as the temple’s central deities – Narayana, another name for the god Vishnu, and his consort Lakshmi. Adjacent to the sanctuary is a huge hall for Hawan, a monthly prayer service that now brings 50 to 60 worshippers, in a congregation that began quite small. “Not a single person used to come to the temple when it first started,” Sharma said. Gradually, however, Hindu residents began to trickle in for festivals, Sharma explained, and now over 800 people from Northern Ireland come to the temple for Diwali, the Hindu “Festival of Light,” typically celebrated in October. Indians travel from as far as London to celebrate Diwali at Laxmi Naranaya, where they sing and dance in the huge upstairs auditorium, next to the family’s living area. “That’s the only time we come together to celebrate a function,” Sharma said. Despite having a temple of their own, Belfast Hindus do not always take advantage of the building’s unique cultural opportunities. “People have been living here for 30 years and they forget their culture,” Sharma said. Many of Sharma’s Indian friends have been in the country for decades and have assimilated to the culture, including 26-year-old Natasha, who declined to provide her last name. With little diversity in a largely Christian society, assimilation is convenient and comfortable. “I go to a Protestant school,” Sharma said. “All I get here is Protestant, Catholic, Protestant, Catholic.” Interestingly, however, she observed that each contingent of her Christian friends is afraid to enter the opposite group’s territory. Meanwhile, Sharma has both Catholic and Protestant friends, but neither sect will speak to the other. Sharma can recognize the difference between a Catholic and a Protestant by the way they speak. And though Sharma continues to study Hindu culture and take classical Indian dance classes, she is becoming more and more Northern Irish – so much so that she has decided she wants to stay there, where she is a minority within a sea of white faces. She has no intention of moving to India or even to London, where Hindus live in densely packed neighborhoods. “I’m just not used to seeing so many Indians,” she said. On Good Friday almost one thousand Dubliners face Mecca and touch their foreheads to the carpeted floor. Released from their jobs for the Easter holiday, hundreds of Muslims flocked to the palatial Islamic Cultural Center in Clonskeagh, County Dublin, for their own weekly Friday prayer. Tareq Sammaree, 58, is a frequent visitor to the Sunni mosque. A former Baghdad University professor who sought asylum in Ireland after the U.S. invasion of Iraq, Sammaree is a long-time Ba’ath party member and remembers Saddam Hussein fondly. “He made some mistakes, but he was a good man,” says Sammaree. But other Iraqis in Ireland feel differently. A fifteen-minute walk away from the grand Sunni mosque stands the Ahlul Beyt Islamic Center, the only Shi’ite house of worship in Ireland, where Ahmed Ali, 38, prays. Ahlul ran away from Iraq to escape Saddam Hussein’s persecution of the Shi’ites. “The day he was executed was the happiest day of my life,” he says. The legacy of the former dictator is but one issue that divides Iraqi Sunnis and Shi’ites. Even in Dublin, far removed from the bloody fighting in the streets of Baghdad and Karbala, sectarian identities flare up. The Muslim community in Ireland is fast-growing, with official estimates of roughly 40,000 adherents. Iraqi refugees from the violence in their home country are the latest to join this community. Although they leave behind them the physical violence, they bring with them many of their sectarian prejudices. Discord between Sunnis and Shi’ites in Dublin heightened after the invasion of Iraq. The bloody tales of torture, suicide bombings and execution squads employed by both groups have strained relations in Dublin. Imam Dr. Ali Saleh is the leader of the Shia mosque. Born in the Iraqi city of Najaf, he lived for a while in Saudi Arabia, close to the border with Iraq. He came to Dublin in 1985, and remembers a time when relations between the two groups were cordial. The Shi’ite Muslims say that tensions began after the U.S. invasion, when Shi’ites gained power in Iraq. Dr. Hameed Albdri, 28, an Iraqi Sunni by birth, said he used to visit the Shia mosque. “I used to visit with my friend, but my friend was asked not to bring me back again,” Albdri says. He’s lived in Ireland for six years, and saw the change after the invasion of Iraq and the subsequent explosion of sectarian violence. Ahmed Ali, who came to Dublin from Mosul in 1999, remembers a time when it was easy to crack a Shia-Sunni joke. But no longer. “They cannot handle it anymore,” he says. Tareq Sammaree sees little humor in the current situation. The former Baghdad University professor lost everything when Saddam Hussein fell and the Ba’ath party lost power. Shi’ite paramilitaries kidnapped him and his son and tortured him for more than a year. He was released, but his son is still missing. He fled the country, seeking asylum in Dublin. Fatima Mussam, 16, a Sunni who came from Mosul, Iraq, to Dublin in 2002, blames the sectarian violence in Iraq on the Shi’ites. Fatima says that she had Shi’ite ‘acquaintances’ in school, but they were not her friends. “I won’t deliberately be rude to them but I don’t like them,” she says. Mussam, whose family left Mosul because her family anticipated the war, blames the sectarian violence in Iraq on the Shi’ites. “They started it,” she says. She is also contemptuous of the Shi’ite faith. “It is going against Islam,” she says. The small Shi’ite community in Dublin fears that the sectarian divisions are exacerbated by Fatima’s conviction, shared by some Sunnis, that the Shi’ite are not true Muslims. Zahra Rahim, 47, is a Shi’ite from Hilla, near the city of Babylon in Iraq. Her son, Jafar, 15, attended Muslim National School, a primary school under Sunni management. Rahim says her son has been called ‘kafir,’ which means unbeliever, by Sunni students and occasionally been taunted when the Shi’ites suffer in the ongoing sectarian violence in Iraq. Harpreet Singh moved to Ireland from India three weeks after 9-11 and looked for work in Dublin without success for two months. About 30 applications later, he still had no prospects. He knew the turban on his head and his long beard, both identifications of his Sikh faith, were not helping his chances. Meanwhile, people on the streets often shouted “bin Laden” and sometimes threw bottles at him. He went to the barber and cut the hair that he had grown 17 years since birth, and shaved his beard, abandoning one of the core duties of Sikhism. Shortly after, Singh was hired at a merchandising cash-and -carry shop, but he felt empty inside, he said. A year later, after growing more connected to the Sikh community in Dublin and to his Sikh beliefs, he decided to once again wear the turban and grow out his hair. No sooner than he returned to the faith, the abuses on the street began again. A day after the 2005 London bombings a group of men attacked him as he was leaving a grocery store and he was stabbed in the hand. Sikhism developed in northern India in the 15th century and has more than 25 million followers worldwide. The faith denounces blind ritual and emphasizes equality among all mankind and devotion to one god. Sikhs follow the teaching of 10 gurus and are taught to be both saints and soldiers, using the sword only when others cannot defend themselves. On a recent morning at Dublin’s only Gurdwara, or Sikh temple, a group of men explained they have all learned to ignore such comments and incidents, knowing that it stems from ignorance more than anything else and that anger does not solve their problems. To find work they learn which sectors are accepting of the turban and which ones to avoid. The restaurant sector, which depends on tourism, is especially difficult to penetrate, they said. While the Sikhs interviewed could laugh and joke about some of the abuses they endured from other citizens, they were less tolerant of the government’s rejection of the turban in the Army and in the police force, known as the An Garda Síochána. To be excluded from military and police because of their turban is counter to their religion, the men said. Last August, a Sikh training to serve in the Garda was told to give up his turban if he wanted to begin work, a turban ban that drew criticism from Sikh organizations worldwide. A spokesman for the An Garda Síochána said that the turban was a breach of the Garda’s uniform and that the Garda was not advocating one religious belief over another, nor being racist. Puri, however, said that the Sikhs should be able to integrate without giving up the turban. But there are several Sikhs who have decided that they must remove the turban to survive in their new country. Such choices are not unique to Ireland, as Sikhs in the United States and even India have also abandoned the turban for employment, athletics or comfort. While some Sikhs do not look down on those who abandon the turban and understand the struggle, they say that abandoning the turban means that you are no longer a full Sikh. Harpreet Singh said he did not tell his parents, who are farmers in Punjab, that he had stopped wearing a turban. Seven years later, he is still apologetic about his decision to cut his hair. When a group of men came after him with a knife after the London bombings, Singh was shaken. He had raised his hand to protect himself, otherwise the man who attacked him would have stabbed his face, he said. He contemplated moving home, but felt at ease again after a few days. This time, however, he was not questioning his choice to wear a turban. “I am more strong,” he said. Now Singh works at a home equipment store and is in school for his second degree, this time in business. “If I go back I have good knowledge in international market,” he said. The Sikh men discussing their experiences in Ireland said despite the discrimination they feel, there are signs that acceptance is growing. Singh and about 40 other men from the Gurdwara recently danced and marched in the St. Patrick’s Day parade in Dublin, an invitation Puri described as a great honor. The men at the Gurdwara also formed a soccer team that played in a recent Against Racism tournament, in which teams from different religious and ethnic groups play one another. Events such as these have made them feel more connected and increase awareness and understanding of their faith, but they are skeptical that the climate of discrimination will change any time soon. Puri said it is a piece of the Sikh history that will carry far into the future. “We will always be fighting against injustice,” he said. This article originally appeared in the June / July 2008 issue of Irish America. Walter Macken’s book Seek the Fair Land came to mind when I chose the cover text to go with the picture of the Sikh man dancing in the St. Patrick’s Day Parade in Dublin. Macken’s novel centers around Oliver Cromwell’s brutal “ethnic cleansing” of Irish Catholics, who were either killed, or banished “to Hell or to Connaught” (to the barren lands of the West of Ireland or to Barbados as slaves). of emigration, but has become something of a Promised Land for other nationalities fleeing those very same horrors of poverty and religious persecution that was our story for so long. Cromwell ultimately failed, thank God, “because the human back is stronger than the oppressor’s whip,” Macken said. The Catholic church triumphed in Ireland, and became a force for education in the United States, moving the Irish immigrants up the first rungs of the ladder of integration and success. But in today’s Ireland the church has gone into decline, its once almighty power done in, some would say, by the thriving economy. There is hope of its resuscitation, however. Ireland’s newest immigrants, the devoutly Catholic Poles and Latvians, have thrown it a lifeline. (“They are like we were in the ’50s,” a visitor from Ireland informed me). While the Poles are the largest source of inward immigration (over 150,000), followed by immigrants from Lithuania, the Czech Republic and Latvia, it is not just the Central Europeans who are changing the religious and cultural landscape of Ireland. Columbia University’s Graduate School of Journalism. And there are also some signs of integration. Rotimi Adebaria, a Christian who was forced to leave Nigeria because of religious persecution, became the mayor of the town of Portlaoise in 2007. All this change is hard to grasp. And especially hard for those of us who left – who are delighted to see the country doing so well, yet miss the Irish bartenders and shop assistants. Meantime, a charming story of Ireland and its immigrants is captured in the Irish movie Once – a love story between two musicians, one Irish, one an immigrant from the Czech Republic. Made for under $150,000, Once went on to win an Oscar for Best Original Song 2008. Clooney’s last film Leatherheads was a bit of a dud, but he may soon be back in the Oscar nomination form he flashed in Michael Clayton. This fall, Clooney will again team up with Joel and Ethan Coen (who won best picture and best director Oscars for No Country for Old Men) as well as Brad Pitt in Burn After Reading. The film is about a CIA agent who writes his memoirs and is promptly fired. In a twist befitting the whacky worldview of the Coens, the memoirs end up in a women’s locker room, and then become the property of shady types who simply want to make as much money as they can. Clooney previously worked with the Coen brothers on O, Brother, Where Art Thou. Along with Clooney and Pitt, Burn After Reading also stars Frances McDormand and John Malkovich. The film is slated to open September 12. Irish American veteran of stage and screen Brian Dennehy is busy as ever these days. This summer, Dennehy will tackle one of Irish- American writer Eugene O’Neill’s lesser-known works, Hughie. The play, which is set to run June 18 – August 31 at the Stratford Shakespeare Festival in Canada, will reunite Dennehy with acclaimed stage director Robert Falls, who directed Dennehy in Death of a Salesman on Broadway a few years back. At the same festival, Dennehy will also appear in another work by an Irish master: Samuel Beckett’s Krapp’s Last Tape. When the summer is over, it is back to the big screen for Dennehy, who will star in a crime drama jam-packed with several generations of A-list talent. The movie is called Righteous Kill, and is set to open September 12. The film also stars Robert DeNiro, Al Pacino, Donnie Wahlberg (playing a cop named Riley) and rapper 50 Cent (who Irish director Jim Sheridan directed in the biopic Get Rich or Die Trying). On the Irish side of things, Dennehy will be joined by Dennis O’Hare and up-and-comer Frank John Hughes, a Bronx native. Righteous Kill follows a pair of New York City detectives on the trail of a serial killer. Also at Tribeca, the aforementioned Frank John Hughes has a supporting role, along with Linus Roche (who starred in the controversial film Priest), in Yonkers Joe, which stars Chazz Palminteri. Yonkers Joe is set in a working-class white ethnic enclave and explores the life of a low-level criminal whose life is radically changed when he must care for his son, who has Down’s Syndrome. Yonkers Joe also stars Thomas Guiry (Black Irish, Mystic River). Now, here is where the Irish affiliations with Tribeca get a little, um, idiosyncratic. Kicking It is a documentary about homeless men, and their participation in a nationwide soccer tournament. Who better to narrate this film than . . . Colin Farrell! True, Farrell is the son of an Irish soccer player, but this is still quite a departure from the glitz and glamour of Miami Vice. Farrell’s next movie is the long-awaited New York Irish-American crime drama Pride and Glory. Directed by Jimmy Egan and co-starring Edward Norton, Pride and Glory is not scheduled for release until 2009. Meanwhile, another Tribeca documentary, Chevolution, about the public fascination with Cuban revolutionary Che Guevara, features commentary from Sinn Féin leader Gerry Adams. Two final Tribeca entries with Irish-American links are Lake City and Finding Amanda. Lake City is a drama starring Sissy Spacek and Troy Garrity (son of Jane Fonda and Irish- American activist Tom Hayden). It is an examination of a fractured mother-son relationship, and how they must confront each other following a family tragedy. Finding Amanda, meanwhile, is a big screen project from one of the creators of Denis Leary’s critically acclaimed Irish-American TV show Rescue Me. In Finding Amanda, writer-director Peter Tolan teams up with Irish-American veteran Matthew Broderick in a drama about an alcoholic TV producer who is forced to travel to Las Vegas to confront his niece (Brittany Murphy), whose addictions are even worse than his. Release dates for all of the Irish fare at the Tribeca Fest are either not set yet or tentative. Keep reading Eye on Hollywood for more info. The movie rights to Paddy on the Hardwood, the non-fiction book about a longtime basketball coach who chased his dream of becoming a fiddle player to Ireland, only to get caught up in Irish pro basketball, were recently purchased. A script and shooting schedule are reportedly in the works. The summer blockbuster season will soon be upon us, but Irish and Irish-American talent are sticking to work that seems a little more artsy. True, Liam Neeson will be heard (if not seen) doing voice work in The Chronicles of Narnia: Prince Caspian, due out May 16. Neeson’s next big movie after that is the September thriller Taken, also starring Maggie Grace (of TV’s Lost) and Goran Kostic. Taken is about a former soldier whose daughter is taken hostage by modern day slave traders. It sounds a bit like an update of the old Arnold Schwarzenegger flick Commando, but let’s assume Neeson would have passed on the project if it were not thought-provoking as well as action-packed. Also working hard this spring and summer is Jonathan Rhys Meyers. The Tudors is back on Showtime, starring Meyers as well as fellow Irish thespian Peter O’Toole. Meyers also has an independent film coming out on May 23. The Children of Huang Shi features Meyers as George Hogg, a British journalist who rescued 60 orphaned children in 1930s China. Intentionally or not, the documentary Constantine’s Sword – based on a massive book by Irish- American Pulitzer Prize winner James Carroll – was released just as the pope was visiting the U.S. In contrast with the pomp of that visit, Constantine’s Sword is a disturbing look at the evolution of Catholic doctrine, particularly as it relates to Christian-Jewish relations. Oscar nominated director Oren Jacob collaborated with Carroll on the project. Carroll is a practicing Catholic who broke with his conservative background in the late 1960s. He chronicled this journey in his 1996 book An American Requiem. Look for Constantine’s Sword in big-city theaters, or at festivals. The DVD will go on sale later this year. Speaking of DVDs, if you are like me and never caught The Wire on HBO, now is the time to go get the DVDs and start with Season One. The series features Dominic West as Irish-American detective Jimmy McNulty, navigating crime and politics in Baltimore. All five excellent seasons of The Wire are now on DVD. SILICON Valley has long been the birthplace of great innovation. Companies such as Google, Apple, Hewlett Packard and Intel all began their journeys to greatness here, and the world was changed forever. Now comes a new Irish organization that could change the way the world sees Irish America and Ireland. With Irish America acting as co-host, The Irish Technology Leadership Group (ITLG) held their first event at Stanford University in the dining room of the graduate business school on Thursday, March 26. Over 200 of the Valley’s best and brightest attended on a lovely spring evening, and the combined brainpower could have jump-started the nearby Stanford Linear Accelerator. Principal honorees were the legendary Craig Barrett, chairman of Intel, and Irish Minister for Enterprise Micheál Martin. Sponsors included Invest Northern Ireland, Waterford Crystal and the Irish Times, which together with ITLG presented this year’s “Innovation Award” to David P. Moran, CEO of Changing Worlds, an Irish company that personalizes software for cell phones. ITLG is the brainchild of its chairman John Hartnett, senior vice president of Palm Inc. He has created an extraordinary organization of like-minded professionals who see their success in Silicon Valley as an opportunity to give back to Ireland and drive the post-Celtic Tiger era. Ireland, Hartnett believes, should move up the food chain and pursue knowledge-based engineering, science and technology jobs. “I want the next Google or Facebook to be created by two guys at Trinity College Dublin or some other Irish university. There is no reason why it cannot happen. In Silicon Valley people go for it. They go for the big bet and it doesn’t always win, but when it does win it makes a big difference,” he said. Another key figure in ITLG is Johnny Gilmore COO of Sling Media and a native of County Down. Sling Media invented the Slingbox, which allows you to receive live TV signals on your computer from any country in the world. Echo Star recently bought Sling Media for $380 million, giving Sling access to 13.6 million DISH satellite TV network customers. Gilmore sees Ireland as a natural expansion base for many top Silicon Valley companies. “We know from our own experiences and contacts that there are exciting and attractive companies and investment opportunities all over the island,” he said. efficient solar power to residences and businesses. A gravestone honoring Irish Patriot Thomas Meagher, a Fighting 69th Brigade commander and former acting governor of Montana Territory, was unveiled at the Green-Wood Cemetery, in Brooklyn, New York on April 19. The Green-Wood Historic Fund erected the gravestone to Meagher, whose body was never found after he went missing on the Missouri River in 1867, and placed it next to the grave of his wife Elizabeth. Meagher, born in Waterford in 1823, received his education from the Jesuits, first at Clongowes Wood in Kildare and later at Stonyhurst College in Lancashire. On his return to Ireland he was greatly influenced by politician Daniel O’Connell, and agreed with him for a need to repeal the Act of Union with Britain. In 1848 Meagher and others were arrested after the Young Ireland Rebellion at the Battle of Ballingarry in Tipperary and sentenced to death for sedition. The sentence was later commuted to life in exile in Australia. Meagher escaped Van Diemen’s land and arrived in America in 1852. He became an American citizen and led Company K of the Fighting 69th Brigade in battle during the America Civil War. After the war, he was Secretary of the new Montana Territory and later served as acting Governor. In 1867 while traveling on steamboat on the Missouri River, Meagher went overboard and his remains were never recovered. Chris Meagher, a great grand nephew of the Civil War hero, was at the unveiling on behalf of the Meagher family. The State of Montana also paid its respect to Meagher by sending a representative, Major Patrick Flaherty of the Montana National Guard, to the ceremony. By the 1930s, an influx of Irish immigrants from Monaghan to New York had brought with them a great deal of the cultural and social traditions of their homeland. In the Monaghan County Museum, Ireland, a photographic exhibit opened on April 17, 2008, which tells the tales of many of these families and their lives in New York. 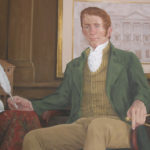 The exhibit, which runs through July, represents the strong connection these immigrants had to their heritage and their dedication to maintain a sense of Irish culture for their children. The distance from the land that was once home resulted in many lost connections and open-ended stories of relatives who had gone abroad. But thanks to Terri Cook, the story of how the Monaghan Society helped keep Irish culture alive in New York has been revealed through the medium of photographs. The Society, which is still in operation, was founded in 1891as a social and cultural organization, and grew to include a Gaelic football team and fife and drum band. Cook began to research the continuation of the Monaghan Society in America, after contacting the Monaghan Museum Curator, Liam Bradley, about old photographs her cousins had discovered. “I lost three of my four children. My son is the only thing I have left,” says a mother, her voice choking with emotion. “In Nigeria, it was all gangs, armed robbers, hired assassins. You were either in or out,” remembers a young man who escaped the violence. “There was no peace in the Congo. You never knew what would happen. You’d hear bullets – grr, grr – during the night,” says a journalist who fled the conflict. “The traffickers realized the boy had chicken pox. They didn’t want the rest of us catching it so they threw the boy overboard. Nobody opened their mouths about it,” says a man who is still too frightened to reveal his identity. These are the real-life stories of some of the most marginalized people in modern-day Irish society – people who have come to seek asylum. Nigerians, Somalis, Romanians, Afghans and Sudanese for the most part, these people have been arriving in Ireland in their thousands every year. In 2006 – the latest year for which figures are available – 4,314 people sought asylum in Ireland, down from a high of 11,634 in 2002. Of the many that arrive, only approximately one in ten are granted the legal right to remain. Who are these people? And what are their lives like? Seaview, a new documentary by two filmmakers from Dublin, aims to answer these questions. Seaview is the story of one particular group of asylum seekers, those who currently reside or have resided in Mosney; a one-time holiday camp for Irish families located about 25 miles north of Dublin. Founded in the 1940s as part of the Butlin’s chain of holiday camps, Mosney was once a place of refuge for Irish families. At its height, it catered for up to 6,000 holidaymakers every day. The Mosney of today is still a place of sanctuary but in an entirely different way. Its residents are asylum seekers, 800 of whom are housed here at any one time. These asylum seekers live surrounded by reminders of Mosney’s past. Curtains in bright 1970s patterns, a neon sign advertising “traditional fish and chips,” the ballroom with its parquet floor—all played host to generations of Irish holidaymakers. The film highlights these contradictions. Images traditionally associated with recreation and enjoyment, such as the gaily decorated swimming pool, are represented while the residents tell their often traumatizing stories. These are stories that might never have been told were it not for Paul and Nicky’s decision to deviate from their original plan for a fictional feature film. Both visual artists and friends from when they met in San Francisco in 1994, the pair had long wanted to work together. Distance (Nicky moved back to Dublin in 1995 and Paul moved to New York) prevented them from doing so. It wasn’t until the advent of modern communications and cheap flights that they were able to undertake their joint project. In 2004, they started work on a feature film focusing on newcomers to Ireland. Indeed, she and Paul have both been migrant workers themselves, having worked in London, Germany and the U.S.
Having decided on a theme that interested them, they started their research by visiting Mosney, one of the biggest residential units for asylum seekers in Ireland. One of the reasons for this is that the ‘real story’ differs quite substantially from the common public perception of asylum seekers in Ireland. Because they are not allowed to work while their asylum application is being processed, asylum seekers are provided with food, accommodation and a weekly 19 euros allowance from the state. Some Irish people resent this because they see it as living at the taxpayer’s expense. Viewers don’t have to imagine as the asylum seekers interviewed for this film tell us exactly what this feels like. The young man who fled the violent streets of Nigeria couldn’t believe his eyes when he traveled by train to Mosney. “Seeing cows, the countryside, small houses, I thought,‘Oh man! What’s this?’” he now recounts in a strong Dublin accent. He’s one of the lucky ones. His application was accepted and he now lives in Dublin City where he makes his living as a musician. The young mother from Nigeria, who is still waiting for a decision on her case, has not had such a positive experience. “In Nigeria, the only Irish people you met were missionaries,” she says. “We thought of the Irish as gods. So, when we arrived here and the Irish called us names – liars and thieves . . .” She breaks off crying. The journalist from the Congo knew a lot about Ireland before he arrived. “The fight for independence, Michael Collins, your long history; it made Ireland feel like a natural destination for me,” he says. Unfortunately, this did not mean it was a welcoming one. He is still awaiting an answer to his application for asylum and is disillusioned with the system. This is a recurring theme in the film. The asylum process is notoriously slow, sometimes taking up to six years. During this time, people are not allowed to work. They are not allowed to cook. Their basic needs are looked after by the state and they themselves begin to stagnate. The asylum seekers themselves testify to this. There’s the teenager who, over the course of eight years, saw all of his friends move out of the camp. Some were deported; others were granted leave to remain. Their children, however, are a source of hope. They attend school and are much more accepting of their situation. “I like reading and spelling,” says one. “I like Ireland because you can do whatever you want,” says another. It’s a question one of the former residents has had to ask herself. After three years in Mosney, Vida, who is from Ghana, had her application accepted. She still laughs at the memory of receiving the news. However, venturing out into the wider world wasn’t as easy as expected. Having lived in Mosney for so long, she had become virtually institutionalized. However, she acknowledges the impact the process had on her. “Everybody who goes through it, their mental condition deteriorates,” she says. And what for? Only one in ten asylum seekers can expect to start a new life in Ireland. The others are sent back home. In light of such discouraging statistics, it’s no wonder so many asylum seekers suffer psychologically. As Nicky says, “This film is really about waiting, people going through a long, arduous process of waiting and in the meantime, they are in no man’s land, in limbo.” Life for them is literally on hold. Both Paul and Nicky hope that their film will have an impact on people and perhaps change some attitudes – both in official circles and among the public at large. In order to maximize its chances of doing so, Paul and Nicky are keen to get Seaview widely distributed. It’s been shown at film festivals in Ireland and Berlin. It was in competition at Toronto’s Hot Docs. It’s currently on theatrical release in Germany. Paul and Nicky are both hopeful that it will be shown on Irish national television. But she is finding it hard to leave Seaview behind. Especially as she knows that so many people are still stranded in Mosney and in other camps all over Ireland. As the film ends, the scene fades on a long corridor with a locked door in the distance. Such is life for asylum seekers in Ireland today – a long and uncertain wait that may well meet with refusal at the end. Six flags fly at Kosovo’s Camp Viele – Finland, Sweden, Czech Republic, Slovakia, Latvia and Ireland – but the camp commander comes from Rosses Point, Co. Sligo. Significantly, it’s the first time an Irish senior officer leads the multinational peacekeeping force in Kosovo. Lunch will be a brief affair. It’s Tuesday so the troops from Finland are in charge of the kitchen at Camp Viele. Word has already gone around the camp that pea soup and pancakes are on the menu. The Finns are enthusiastic. Their colleagues are not so sure. With the clock ticking down to midday it’s already evident there will be no stampede of Irish troops to the canteen. For an outsider it’s like walking into a scene from M*A*S*H. This is army town, clothed in khaki. Wrapped in a perimeter fence of razor wire, the base has been erected on the grounds of a disused paper factory in Lipljan, eight miles outside Kosovo’s capital, Prishtina. Operating under a UN/NATO umbrella, Camp Viele is home to 1,510 personnel, including 58 Irish troops. They, as well as 214 Irish troops at nearby Camp Clarke, are part of the multinational Kosovo Force (KFOR) peacekeeping force stationed around the newest political addition to the European map. Kosovo’s self-proclaimed autonomy brought a predictably angry response from the region’s Serb minority. Rioting in the divided city of Mitrovica has raised tensions across the region, and the Balkans, regarded as an international tinderbox for centuries, remains as fragile as ever. For over two million people February’s declaration of Kosovar independence arrived like a slow train finally entering the station. For decades ethnic Albanians had awaited it more in hope than confidence, but more recently they could feel independence was finally on track, unseen in the distance but assuredly coming their way. They knew this because the Americans and Europeans told them so. Kosovo’s Serb minority – numbering almost 130,000 – felt that inevitability too, dreading the day they would be traded off like Balkan orphans. Regardless of concessions offered under the UN’s Attashari Plan, Kosovo’s declaration means that without moving an inch their homes effectively have moved country: one day Serbia, next day Kosovo. Stuck in the middle of all this are 17,000 NATO peacekeeping troops. For nine years NATO has refereed a precarious peace in Kosovo. February’s declaration raised the stakes once more. In Belgrade the Serbian government does not recognize Kosovo as an independent state. However, the breakup of Yugoslavia and public fatigue with conflict have taken their toll. It won’t be said officially, but there is a sense that Kosovo’s freedom might be a pawn played by Brussels in return for Serbia’s membership in the EU. It’s a highly complex issue and nobody is quite sure what will happen next. Universal recognition for Kosovo is no done deal. The United States and major EU powers support independence; Serbia and Russia are firmly opposed and they have support from China. Over the coming months the UN Assembly will hear from multi-ethnic states wary of granting independence to ethnic minorities. Far from joining jubilant celebrations on the streets of Prishtina, Kosovo’s path ahead is fraught with obstacles. February was momentous but the celebration will be cut short by numerous practical challenges: to get electricity working 24 hours a day, fix the water supply, build proper roads, address a serious problem with organized crime and international drug traffickers, repair relations with their Serb neighbors. Gerry Hegarty assumed command August 1 last year and leads the camp for a 12-month term. KFOR soldiers serve six-month tours of duty. Quarters are basic but comfortable, a temporary self-contained home complete with a canteen, shop, bar, TV room and living quarters. KFOR troops live on base 24/7 and are not allowed to socialize in the many bars and clubs of Prishtina. Staying within the confines of the army base makes the tour more demanding, but soldiers who serve here know this is a region where even a single event can trigger an international crisis. At the end of each tour of duty, transport buses come to collect troops and deliver the next complement. Given a hearty send-off by colleagues in the main courtyard, departing troops return home with an international dimension to their careers, any memory of soldierly tedium offset by a unity of purpose and sense of achievement. The buses roll out past their cheering colleagues, past Irish sentries at the entrance barrier. For those who remain, Alert A1 is never far away. Since serving as a UN observer during the siege of Sarajevo, General Hegarty has become a keen student of Balkan intricacies. In the early 90’s he saw how Bosnian Serb forces were allowed to slowly asphyxiate Sarajevo and openly commit genocide. NATO stood by for three years. For him, the impotence of witnessing such an obscenity left its own mark. Politically hamstrung by the UN Security Council – Russia blocked any move against Bosnian Serb forces – NATO was further humiliated in July 1995 in the supposedly UN “safe haven” of Srebrenica. A Dutch battalion stationed there was overpowered by Bosnian Serbs and watched mutely as over 7,000 Muslim men and boys were marched off to their deaths. The massacre, the largest single atrocity since World War Two, made ‘standing by’ no longer politically, militarily or morally acceptable. NATO finally intervened and forced the conflict to a military conclusion. As a result Yugoslavia split into six different states – Serbia, Croatia, Slovenia, Bosnia, Macedonia and Montenegro. Internal tensions within Serbia then erupted in the southern province of Kosovo. Serbian president Slobodan Milosevic mobilized his army in a 1999 crackdown on Kosovar separatists. Tens of thousands of ethnic Albanians fled across the border into Macedonia. This time there was no standing by. Despite Moscow’s objections, NATO bombed Serbian cities, including the capital Belgrade, setting in train a process that nine years later led to Kosovo declaring independence. One million people – half of Kosovo’s population – live in the 22,000-square-kilometer area patrolled by Camp Viele troops. Initially KFOR was called in to protect Kosovar Albanians; now that the break with Serbia has been declared, Hegarty’s multinational force must spread its protective wing to a highly vulnerable minority of 30,000 Kosovar Serbs. It’s a tall order in such a volatile region. There are only a handful of Serbs still living in Prishtina. Most have gone, leaving behind a city culturally inclined towards Albania, not Serbia. Kosovars are hugely mindful of the American role in nationhood. One of Prishtina’s main streets was renamed Bulevar Bill Clinton in recognition of his involvement in what they feel is their emancipation. A huge portrait of the former president beams down on the city’s choked traffic. Not far away, on the roof of the Victory Hotel, a replica Statue of Liberty offers a symbolic reminder of where Kosovar Albanians feel most connected. But the Kosovar Serbs who remain feel detached from all of this. Increasingly it is they who are most at risk. They resented NATO’s multinational force arriving in their homeland, but, ironically, like Catholics initially welcoming British troops onto the streets of Belfast in 1969, Serbs in the region will have to look to that same force for protection. There is no time frame on the mission. Declaring independence raised tensions in the Serb enclaves around Kosovo, but the Brigadier General feels his peacekeeping soldiers just need to get on with the job. September, 1930. Age 16, my mother, Kathleen Sloyan, the second of eight children, leaves her home in Ballyhaunis, County Mayo. She will marry, raise three children, and die in Brooklyn, New York, at age 53, without ever returning home. We have no photos of her as a child. With my first wage as a paper boy, I bought her a 78rpm record that had “Mayo” in the title. Her hug was a full world. Her eyes filled, and for years I bought her anything that had Mayo in the title. I still love the sound of the word Mayo. March, 1924. Age 20, my father, Patrick Joseph Murphy, the fifth of thirteen children, leaves his home in Cloone, County Leitrim. He will return forty-five years later, a year after the death of my mother, many years after the deaths of his own mother and father. We have no photos of him as a child. This is the story of his journey home. I went with him and met myself. In the Brooklyn world of my childhood, Ireland was always there on my mental horizon – in the rhythms of speech and turns of phrase of Irish people about the house; in the ballads about the old country and a moonlight in Mayo that could bring my mother to tears; in the Friday night card games in which a priest visiting from Ireland might occasionally loosen his collar and mutter a sort of curse when the Lord failed to fill his inside straight. Ours was a world of aunts, uncles, cousins; the calendar had its comforting rhythm of gatherings for holidays, baptisms, communions, graduations. And, the funerals. Always uncles, John, Michael, Frank, each death strange in its own way, each one driving my father deeper into himself. I was eight when Uncle John fell over the banister on his way up to his apartment, dropped three stories, and broke his neck. I didn’t really know him, but I can still see him falling. Then, I was nine when Uncle Michael fell under the wheels of the IRT subway, the family said it was the heart that gave way, dead before he hit the tracks, others whispered that he had jumped. My Dad said his brothers had bad luck. Mikey must have had the old heart attack. John, another story, let him be, no point in going on about it, let it be, drop it. Then, my godfather, Uncle Frank the bachelor, a large man with gruff manners whose hand swallowed mine when he shook it, his breath spoke of cigarettes, whiskey, and anger. I felt bonded to him as my godfather and a bit afraid of him at the same time. He drank himself to death. I was thirteen when he died, my father was fifty and was burying his third brother in America. Years later, I would begin to understand his loss and the pain that he kept inside as the funerals kept coming. But then, I was young and my father’s losses were distant. I went to my uncles’ wakes and funerals and then came home, tired after a day of play with all the cousins. I remember a deeper sense of loss about Uncle Frank’s death than about John or Michael. Perhaps because I was older, the idea of death had begun to have meaning, but I also think that, despite my youth, I sensed Uncle Frank was a lonely and unhappy man, moving in a world too far removed from our Christmas dinners for me to understand. He remains very much with me since he is in my parents’ wedding picture, the best man. The picture is on a table in our bedroom, so I see it at some level of my consciousness every day. A lovely picture, taken in New York in a studio, light years way from Leitrim and Mayo. The whole picture speaks of Ireland, of emigration, and of change, especially the poses of the four men – my Dad, Uncle Frank, Mark Cummings, and John Foley, my Dad’s best friend and himself off the boat like the rest of them. There they are in their rented tuxedos, probably for the first time in their lives, looking stiff, awkward, proud of themselves. In Aughakiltubred, parish of Cloone, County Leitrim, what could my grandparents, John Murphy and Bridget Maguire, possibly have thought when this picture arrived in the mail? There they are – two of their sons, Patrick and Francis, long gone from home and not likely to return; dressed in tuxedos for a marriage, one of their sons marrying a woman they would never meet, a formal occasion at which parents should be honored and basking in the glow of the moment, but there are no parents in these wedding photos. These parents are an ocean away from this wedding and will not be seen again by their children, and will know many of their grandchildren only in the stream of photographs that will try to shrink the distance. I now know that such photos were regularly sent home to Ireland from the States – a steady chronicle of marriages and births. How many of these photos came in the mail over the years? And then, the stream of photos of grandchildren, an expanding family in America and Canada known to them only in these photos. Hard to imagine their sense of separation. The distance between these two worlds of our family came to me one day when I came home from school and my Dad was there, home earlier from work than was normal. My intuition said that something wasn’t quite right. News from Ireland – my grandmother had died. Naive, I don’t think I had ever thought of my parents having parents. I really couldn’t grasp the whole idea of it – my father had a mother but she lived far away in this mysterious place we talked and sang about. I had a grandmother, she had died, my Dad would never see her again. He sits there, silence fills the room, and I try to understand this mystery. My Dad went home for the first and only time in 1969. My Mom had died the year before, and my sisters and I were especially aware that she had never managed a trip back home, so we gave the trip home as a Christmas present. Since he wouldn’t risk such a journey on his own, I was more than willing to be his partner. A very exciting prospect for me, a chance to close the distance between the Ireland of my imagination and the reality. But, while I was excited, I can’t say that Daddy, as we called him, was at first thrilled at the prospect. I think, in fact, that he may have been a bit intimidated by the whole idea. Since he hadn’t been a letter writer, the links to Ireland had been maintained more by and between our aunts who passed the news on to us. After the deaths of his brothers, all his links to Ireland had closed down. Aunt Catherine called it a hopeless place. Aunt Rose had gone home once, come back, and said it was beyond hopeless. My Dad was a warm, loving man, full of sharp humor, always humming tunes he composed as he went along, but at the same time he was a man of few words, at least in terms of his personal feelings and experiences. I suspect that is, at least in part, an Irish trait, especially on the male side of the fence, but planning this trip energized him in a special way. He began to speak more about Ireland as the trip approached, he had lots of questions. He wanted to look good, so off we went to Sears and Roebuck on Bedford Avenue, our idea of high fashion. He was clearly nervous about the whole thing. I don’t think I fully understood his emotions at the time. Ours was to be a five-week trip, visiting Ireland and England. In each place, he had both his own and my mother’s family to visit. Only as we talked on the plane did I realize that much of his nervousness came from worry that he might not like all these people. There he would be, for five long weeks, “at home,” but in a world of strangers. So again, the distance that was so much a part of the lives of all the Murphys in America came to the fore, now a very real emotional reality. What would he have to say to his brother Eddie and to his sister Ellen? After all, they wouldn’t be interested in baseball, one of his passions that was a sure indicator he had become a Yank. Would he like the world of in-laws he was about to meet for the first time? As it turned out, there was no need to worry. Ireland fit him like a glove. He settled immediately into its rhythm, his brogue increasing ever so slightly. After a few days visiting with my mother’s brothers and sisters in Mayo, it was off to Leitrim, the real goal of the whole trip. As we neared his home turf, he began to recognize landmarks, houses, churches. Now we didn’t need the maps I had been studying so carefully since Shannon Airport. He became the guide. “Turn here,” “Make the next right,” “If you turn here, you’ll see Reynolds’ place,” “The next house should be John Lee’s,” etc. Much had surely changed in forty years, but he knew this place; its houses and turns of the road had histories that he was remembering; this world of rough, marginal farmland, clearly not prosperous, was the place of their beginnings – all the Murphy boys and girls who wound up in Brooklyn, Manhattan, Canada, Rhode Island, California, England, in jobs and worlds far removed from their parents who worked this stubborn Leitrim land to feed them. When we came to the turn for Aughkiltubred, Daddy said we should keep going a bit further, make a few turns. He said there would be a place a bit up the road where we could buy some beer and stout to take up with us. Partly, he was testing his memory; partly, he was stalling. His memory was good. There was indeed a place that was not really a pub in today’s terms; rather, it was a sort of general store that also served as the post office and pub. Brady’s, rough cement floor, and a few make-shift seats. Only a few people in the place, and they watch us like hawks as soon as we come in. Daddy doesn’t introduce himself, there is a deep quiet, we order two pints, tourists passing through. We order twelve bottles to go, itself an insurance policy against disappointment. And then a moment that closes all distances. One of the men looks up and says, “Is it Packy Murphy?” There he is, Patrick Joseph Murphy, looking all too American in his Sears and Roebuck best, but he is surely close to home. A remembered conversation, hopefully close. Perhaps this moment is more in my own memory than in reality. Nonetheless, I remember it as a great release for Daddy. If he was okay with John Francis, surely he would be okay with his brother and sister. A few pints and some memory-lifted laughter helped to loosen his mood. Then, off up the hill to home. When Uncle Eddie came out to greet us, I realized that this was surely an uncle. He and Daddy were so clearly brothers, their features so similar that they were as one, much more so than I remember any similarities between Uncle Frank and Daddy. Even before any words were said, their facial resemblance alone shocked me into memories of long dead uncles in America. Great distances were closed in that meeting of two brothers who hadn’t seen each other in forty years. Their greeting itself was not dramatic in any gesture or outward emotional demonstration. Brothers in more than looks, they deflected emotions, keeping their inner worlds to themselves. For all anyone could tell, they might have seen each other last week. A handshake, no hugs. “You’re welcome home . . . a fine day . . . Here, sit by the fire . . .” Whiskey all around — the only public acknowledgment of a special occasion. I count myself lucky to have been with my Dad when he finally went home. Little did I know on that special day, but in two years he would be dead. Eddie is now gone as well. I like to remember the two of them, slowly and a bit awkwardly coming to know each other again. Aunt Maggie giving us a bit of tea, Daddy gradually settling into a rhythm of memory and laughter as old friends came by and nostalgia filled this small, warm, secure place. He was home, a circle had been closed. He had lived his life far removed from this starting place, and now he was back — forty years after his starting out on the road to America. He had married and buried a wife, seen his three children grow up and do well in a world of baseball and rock ‘n’ roll; he had coaxed whatever he could out of a backyard Brooklyn garden, and he saw himself as quite the barbecue chef; he had labored on a bread van, tried his hand as a union organizer and, once, he had received a safe driver award that we all knew must have been a mistake. That was his world as I thought I knew it. But, as the days passed in Ireland, listening to him talk and remember with his friends, hearing the laughter about some forgotten wildness when they were all young bucks, watching him walk the fields with his brother, seeing the easy way he had with cattle, I realized that I had always known instinctively about this other world. Without my realizing it, Ireland had been one of my parents’ gifts to me; perhaps without their even intending it as a gift, but here it was. A white-washed cottage in Leitrim, no running water, three rooms, a central fire — in this place, my Dad and the aunts and uncles of my growing up were all born. All along on that trip, I had thought I was taking my Dad home. Now, I know he was showing me my own starting place. He took me home. James Hoban, Architect of the White House. “Any gentleman who wishes to build in an elegant style, may hear of a person properly calculated for that purpose who can execute the Joining and Carpenter’s business in the modern taste. James Hoban. Hoban was an Irishman, born in Kilkenny. George Washington never did see Hoban’s ad. But he did choose the Irishman in 1792 when it came time to build the White House. All in all, it is easy to see Hoban as the ultimate Irish immigrant success story in young America. So, who was James Hoban? How did he come to design the most important building for a young America? And what famous building in Dublin is the White House based upon? Hoban was born near Callan, Kilkenny in 1758, to a tenant farming family. A locally prominent family, the Cuffes, offered tutoring services on their estate in skills such as carpentry. Hoban took advantage of these services, and later attended the Dublin Society’s Drawing School, where his work caught the eye of Thomas Ivory, the school’s principal. Ivory also had a private design practice. It is believed that Hoban, working with Ivory, worked on the construction of notable Irish buildings such as Dublin’s City Hall and the Custom House. Though Hoban was making a name for himself in Ireland, he decided to relocate to America in 1785. Hoban first went to Philadelphia, where he took out newspaper ads offering his services, but he ended up settling in Charleston, South Carolina. Though a seemingly odd choice, moving to Charleston proved to be a fateful decision for Hoban. Hoban teamed up with fellow Irish designer Pierce Purcell and went on to design some private residences and worked on two of Charleston’s most prominent public buildings – a 1200-seat theater and the refurbishing of the old colonial state house as a courthouse. Still in use, a portrait of Hoban hangs there to this day. While most of Hoban’s and Purcell’s architectural accomplishments in Charleston have been lost, it was while he was working in Charleston that Hoban was introduced to General George Washington. This certainly gave Hoban an advantage in 1792, when he entered the competition to design the new home for America’s president. It’s important to remember that while Hoban was building a name for himself in the U.S., the young nation was in turmoil. True, the Revolutionary War against England was over by the early 1780s. Still, America experienced serious growing pains. It is often forgotten that under the Articles of Confederation describing “America’s first system of government” there was no provision for a president of the United States. That’s because, in the wake of the war against the British crown, it was feared that a single presidential leader would inevitably become a tyrant. It was not until the U.S. Constitution was adopted in the late 1780s that the U.S. presidency was created. One reason people were willing to accept a president was because they knew George Washington would fill the role. The question now was: Where would President Washington – and all future presidents – reside? Interestingly, the American fear of a royal president is evident even in Hoban’s design of the White House. 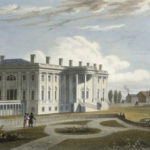 It is believed that Hoban’s design appealed to American government officials because it was simple and conservative, rather than ornate, which would have led many to view the White House as some sort of palace. When it came to inspiration, meanwhile, Hoban looked to his native country. Hoban based his White House design on Leinster House, the stone residence in Dublin constructed around 1750 for the Duke of Leinster (now used as the seat of Dáil éireann). Hoban is said to have admired the structure designed by Richard Cassels, while he was attending the Dublin Society Drawing School. Hoban played a key role in not only the design but also the actual construction of the White House, which took about eight years. Hoban was widely respected for his efficiency and problem-solving skills. So, when construction of the U.S Capitol got underway, Hoban was called in to oversee that project as well. He was also involved in the construction of the U.S. Treasury building as well as offices for the State Department, War Department and U.S. Navy. While he was rubbing shoulders with Washington, D.C.’s most powerful people, Hoban was also establishing himself as one of America’s first prominent Irish Catholic citizens. This at a time when anti-Catholicism was a very strong force in the U.S. It was not even legal in most states to practice Catholicism before the Revolution. Hoban, however, was a lifelong parishioner at St. Patrick’s Catholic Church in Washington, D.C., and established various aid funds, including one for Irish immigrant laborers. Along with George Washington’s close aide Stephen Moylan (born in Cork) and Commodore John Barry (from Wexford), Hoban completed a trailblazing triumvirate of Irish Catholic power brokers in the nation’s capital. Still, for all his other accomplishments, it was the White House with which Hoban was most closely associated. And so, when America and Britain took up arms again during the War of 1812, Hoban was called upon again when his most famous work was burned to the ground. In August of 1814, British troops first marched upon the U.S. capital. Since it did not appear that they would be able to take control of the city, British officials told soldiers to simply destroy as much property as possible. Soon enough, British soldiers entered the White House, which President James Madison and his cabinet had already evacuated. With them they took as many records and valuables as possible. Most famously, Gilbert Stuart’s painting of George Washington – the man who made Hoban famous – was shuttled off to a safe place. British soldiers are said to have eaten all the food in the White House before setting it ablaze. Only the strong sandstone walls were left standing. For another decade, Hoban oversaw the rebuilding of the White House, and numerous adjacent government buildings. The White House today, of course, does not resemble even the one Hoban helped reconstruct following the fire of 1814. The famous East and West Wings were added decades later. Still, Hoban’s influence and legacy are clear. When they say the Irish built America, there’s no need to think only of anonymous, poorly paid laborers toiling on the Erie Canal and frontier railroads. The President, visiting dignitaries, and thousands of tourists marvel at an Irishman’s work each and every day.